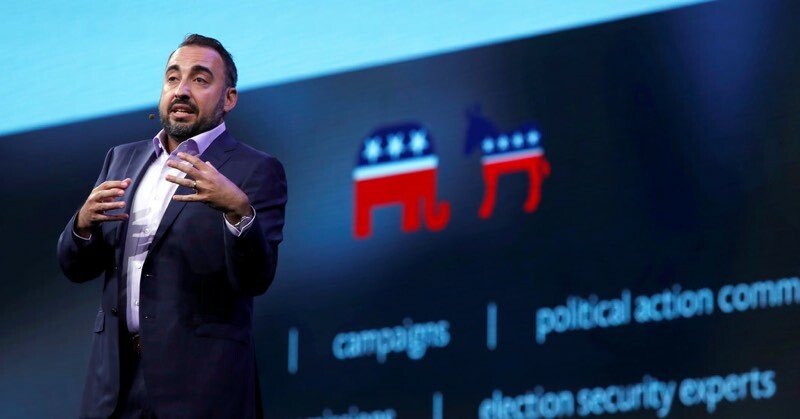 Facebook's longtime Chief Security Officer Alex Stamos is quitting, as announced earlier this year. The company seems to think it doesn't need a new CSO, despite having just acknowledged Tuesday it is the subject of ongoing, sustained, coordinated information warfare attacks just ahead of the 2018 midterm elections. Remember the reason Stamos clashed with higher-ups in the first place, and announced plans to depart: he spoke out strongly against the Russian infowar attacks. As Cory Doctorow wrote, Stamos is “a human warrant-canary for the Trump era.” The threats Facebook faces are very real. I am very excited to say that I have accepted a teaching and research role at Stanford starting in September. My last day at Facebook will be Aug 17. Silicon Valley faces many challenges, and I am encouraged that there are so many dedicated, thoughtful and skilled people continuing to tackle these challenges at Facebook. I will miss everyone but I look forward to collaborating with them in the future. His last day at Facebook is scheduled for August 17th. His new job: "Starting in September, I will join Stanford University full-time as a teacher and researcher...as an Adjunct Professor at the Freeman-Spogli Institute for International Studies." At Stanford, he will join an 'Information Warfare' faculty working group, and study the role of security and technology in society. Just yesterday, Stamos was 'front and center' as Facebook disclosed that it had identified and killed dozens of accounts it associated with a coordinated political influence campaign ahead of the November midterm elections. Facebook does not plan to appoint a successor for chief security officer. Mr. Stamos’ departure is part of several executive exits from the social network, which has been hit by scandals including Russian meddling on the platform in the 2016 presidential election and misuse of people’s data. The Times reported that Mr. Stamos was leaving Facebook after he had advocated the company to disclose more about Russian election interference last year but was met with resistance. Mr. Stamos said in the interview that his last day at Facebook would be Aug. 17. At Stanford, he said, he planned to study the upcoming midterms and the role of technology, as well as election security more broadly and the topic of disinformation. He said he would also look at subjects as basic as passwords and try to reimagine how they could be made more secure. Mr. Stamos also said Information Warfare was a new working group at Stanford with about 14 faculty members across academic disciplines. The group, which will begin meeting this fall, plans to research information warfare tactics and to develop countermeasures. Mr. Stamos said he planned to teach a class for law and policy students on how hackers attack, with the goal of familiarizing future policymakers with common hacking techniques.